As a biology teacher, I have an interest in all things natural, and have recently come to really appreciate the mighty mushroom with its many facets. As I’ve been researching on mushrooms and their beneficial values as gourmet and medicinal foods, I found myself wanting to share my findings with whoever is interested in reading about them. Let’s start with the Blue Oyster Mushroom (Pleurotus ostreatus var. columbinus), one of the most common edible mushrooms, closely related to the Yellow Oyster Mushroom, Pink Oyster Mushroom and King Oyster Mushroom. It is truly a multi-talent, as it is not only delicious, but also health promoting for humans, animals and the environment. It is rich in nutrition, valued for its ability to degrade environmental toxins (such as hydrocarbon based contaminants), and there are efforts to use its mycelium as a biodegradable packing or insulating material, which could replace polystyrene. Mycologist Paul Stamets published a study on the nutritional profiles of 20 mushroom species and the effect of sunlight on the vitamin D production of drying indoor grown mushrooms. As can be seen from his results, the Blue Oyster Mushroom is high in protein (24.64g/100g dry weight, so almost 30%) and dietary fiber (34.1g/100g dry weight) and low in sugar and fat. They are a good source of B vitamins (Riboflavin (B2), Niacin (B3) and Pantolothenic Acid (B5)), which play important roles in cell metabolism, vitamin D and essential minerals such as potassium, copper and selenium, which are important for immune function and for producing antioxidants that reduce free radicals (Stamets 2005). Vitamin D deficiency, common these days due to little sun exposure, can cause diseases such as rickets and may be a cofactor in the growth of breast, prostate, and colon cancers and some immune disorders. Oyster Mushrooms have no cholesterol, and because of their significant levels of the cholesterol-lowering molecule lovastatin, they have been studied for their benefits in helping regulate blood cholesterol levels. Like all mushrooms (with the exception of truffles), Blue Oyster Mushrooms should not be eaten raw, but cooked at temperatures exceeding 140 degrees Fahrenheit, in order to deactivate heat-labile toxins. They taste delicious sautéed, with a hint of butter and lemon. There are many great recipes with Blue Oyster Mushrooms out there though, and this collection looks particular mouth watering. Wild Oyster Mushrooms grow mostly on trees, but they can be cultivated on many different substrates, such as pasteurised corn stalks, wheat, rice, rye straw, coffee wastes, but also on paper products. 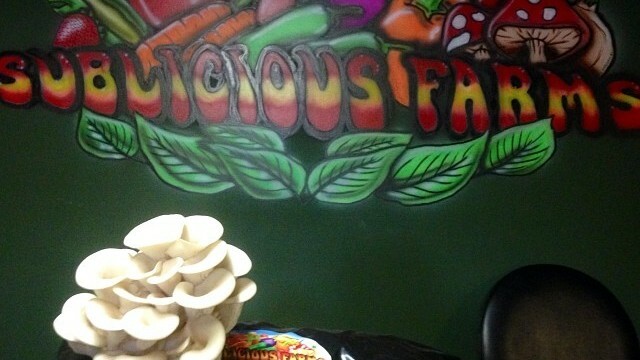 At Sublicious Farms, they are grown on pasteurised organic compost, which is a specialised mixture of worm castings, coconut coir and other, natural and renewable resources. The easiest way to grow Blue Oyster Mushrooms at home are grow kits (for example this one). All you have to do is water them twice a day and you can see them start to grow within a couple of weeks. Once they pop out, you can harvest your mushrooms within a few days. 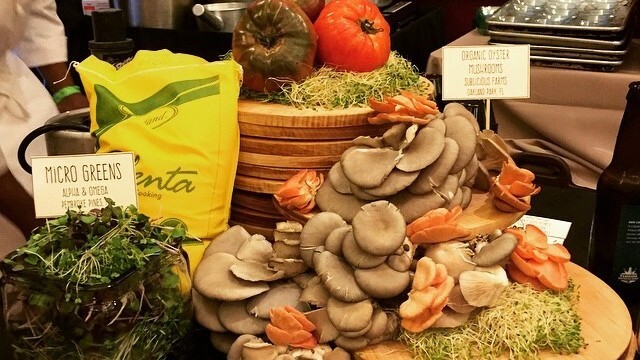 So when you get the chance, try this wonderful mushroom and enjoy all its benefits! Previous Article Why pasteurize Bulk Substrate?